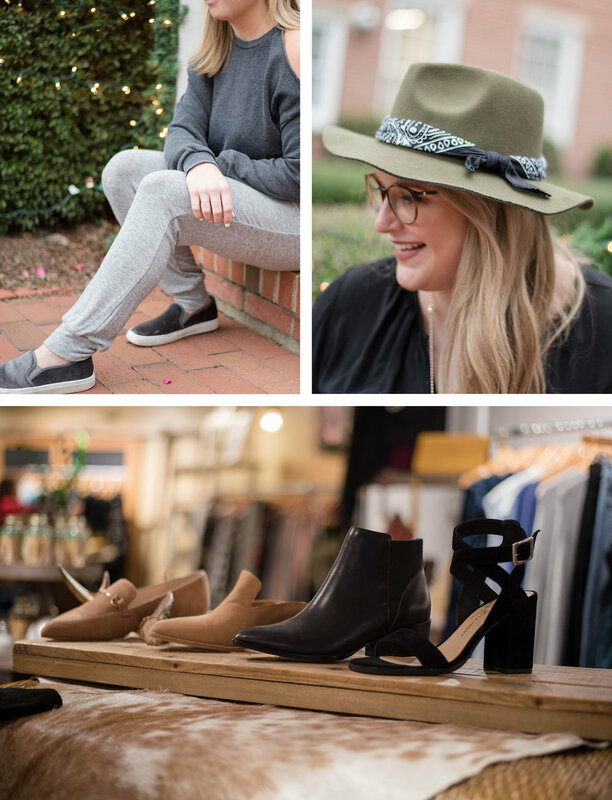 We recently took a weekend trip to Pinehurst, NC for a friend's birthday and holiday party, and if you haven't been, it needs to be on your must-visit list in 2018. As cliche as it sounds, this place is the epitome of small town charm. Everyone knows everyone. 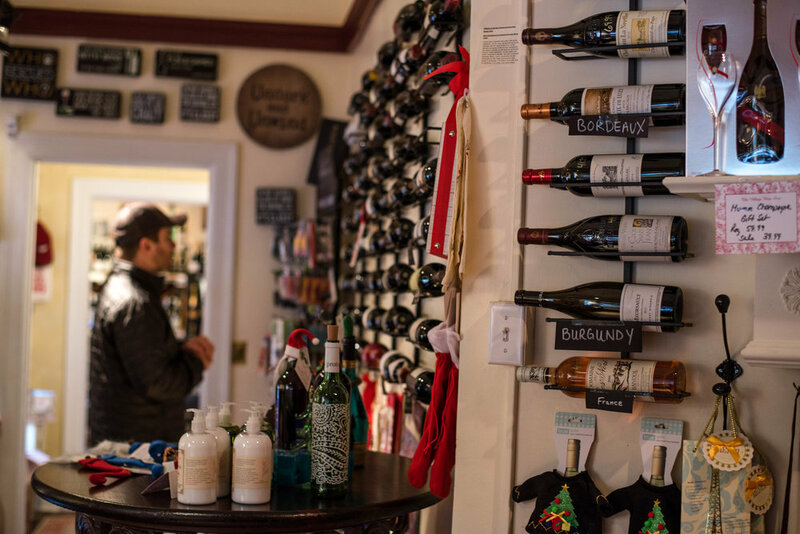 The streets of downtown Pinehurst are lined with locally-owned boutiques, restaurants and the cutest wine bar you will ever come across. Of course, I'm a little biased when it comes to anything related to wine. Bonus points for being able to taste a flight of five different wines for $10 at 2 o'clock in the afternoon. It's an epic deal. 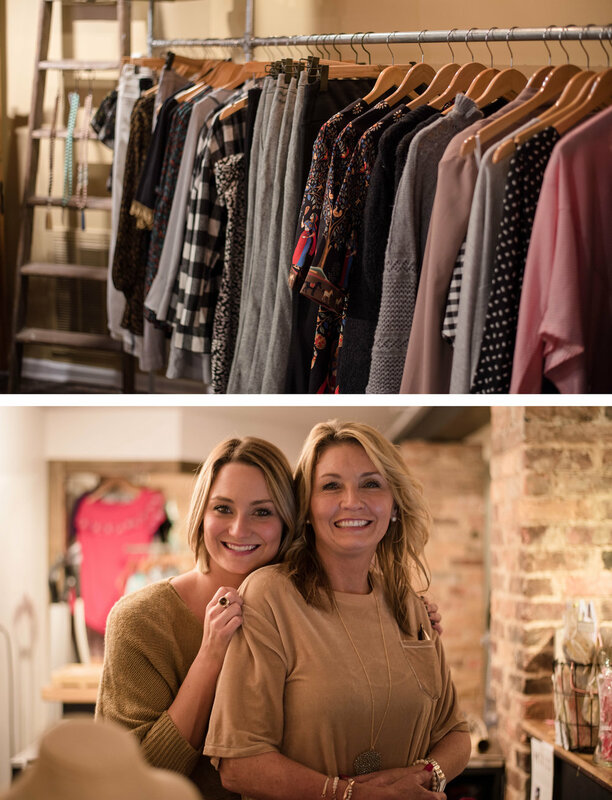 Nestled in the heart of downtown is the fashion boutique, Cooper and Bailey's, run by a friend of ours and filled with the most adorable pieces of clothing, accessories and shoes you will come across in the area. You know how we all scroll through Instagram and dream of owning our own fashion boutiques? This girl actually DID IT and is straight crushing it. And not only do I love supporting local business owners, but the fact that she's also a female entrepreneur just made this photo shoot even more empowering. Women need to support women more, amiright? Shout out to my friend Lisa for being the cutest Pure Barre instructor-turned-fashion model!